Winner Double Gold Medal, California State Fair; Best of Class, North Coast, California State Fair. Winner Silver Medal, Indy International; Silver Medal, NextGen. Winner Silver Medal, Grand Cru International; Silver Medal, California State Fair. Winner Bronze Medal, Grand Cru International; Bronze Medal, Indy International. Winner Silver Medal, San Francisco International; Silver Medal, Tasters Guild; Bronze Medal, Eastern International; Bronze Medal, West Coast Wine Competition. Winner Double Gold Medal, Tasters Guild; Gold Medal, Pacific Rim International; Silver Medal, Los Angeles International; Silver Medal, California State Fair. Winner Silver Medal, Indy International; Silver Medal, Grand Cru International; Bronze Medal, California State Fair; Bronze Medal, San Francisco International. Winner Silver Medal, California State Fair; Bronze Medal, Indy International; Bronze Medal, El Dorado County Fair. Winner Gold Medal, Indy International. Winner Gold Medal, Los Angeles International; Silver Medal, International Eastern Wine Competition; Silver Medal, Indy International; Silver Medal, West Coast Wine Competition; Bronze Medal, Tasters Guild; Bronze Medal, Finger Lakes International. Winner Silver Medal, Taster Guild; Bronze Medal, Eastern International. Winner Gold Medal, California State Fair; Silver Medal, Grand Cru International; Bronze Medal, San Francisco International. Winner Silver Medal, California State Fair; Silver Medal, NextGen; Bronze Medal, San Francisco International; Bronze Medal, Indy International. Winner Silver Medal, Pacific Rim; Bronze Medal, Taster Guild. Winner Bronze Medal, California State Fair; Bronze Medal, Indy International. Winner Gold Medal, Grand Cru International; Silver Medal, Tasters Guild; Bronze Medal, San Francisco International. Winner Gold Medal, Indy International; Gold Medal, NextGen. 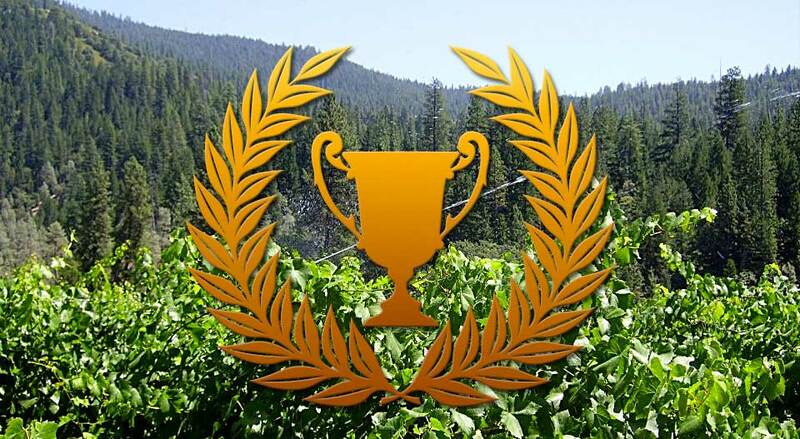 Winner Gold Medal, Indy International; Silver Medal, Grand Cru International; Silver Medal, San Francisco International; Bronze Medal, California State Fair; Bronze Medal, El Dorado County Fair. Winner Silver Medal, Grand Cru International; Bronze Medal, San Francisco International; Bronze Medal, California State Fair. Winner Silver Medal, Indy International. Winner Gold Medal & Best of Class, Indy International; Gold Medal, Finger Lakes International; Gold Medal, Riverside International. Winner Bronze Medal, San Francisco International; Bronze Medal, Indy International. Winner Silver Medal, L.A. County Fair; Bronze Medal, Finger Lakes International; Bronze Medal, California State Fair; Bronze Medal, Tasters Guild; Bronze Medal, San Francisco International; Bronze Medal, West Coast Wine Competition. Winner Gold Medal, West Coast Wine Competition; Silver Medal, International Eastern Wine Competition; Silver Medal, Tasters Guild. Winner Gold Medal, Tasters Guild; Silver Medal, L.A. County Fair; Bronze Medal, Riverside International; Bronze Medal, International Eastern Wine Competition; Bronze Medal, Indy International.